Live in New York 1971. Depending on how you look at Badfinger, they could well be the successors to The Beatles (just listen to the intro to Better Days) or they were Apple Records' house band. 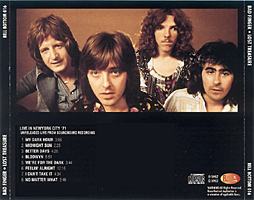 Made up of Pete Ham (vocals/guitar/piano), Tom Evans (bass/vocals), Joey Molland (guitar/vocals) and Mike Gibbins (drums), Badfinger were generally well received when they toured America in 1970/71, but it's also reported that the group complained they were living in the shadow of The Beatles because of their close connection to the Fab Four. Despite the controversies that surrounded the band (infighting, bankruptcy and two suicides), their power-pop reputation was secured with hits such as Come And Get It, No Matter What, Day After Day, Baby Blue and Without You (which became an even bigger hit for Nilsson). On April 24, 1975, Pete Ham hanged himself in his garage studio in Surrey. Following an argument between Evans and Molland on November 19, 1983, Tom Evans hanged himself in the garden at his home in an eerie replay of Pete Ham's death scene. Mike Gibbins passed away on October 4, 2005. 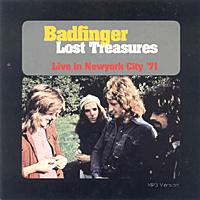 But New York in 1971 was still early days for the band. It was their first major tour and there is a fine rapport between the members, with the band confidently playing a range of materials - from folk to pop to rock. 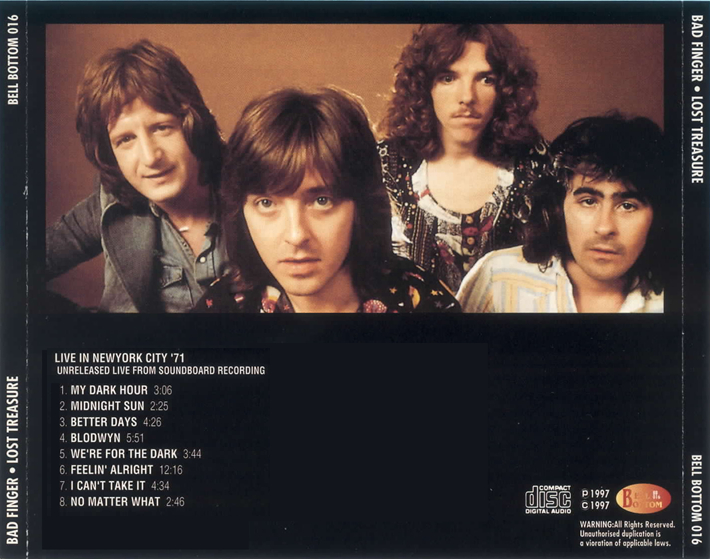 For a time, it looked as if Badfinger could conquer the world, no matter what. 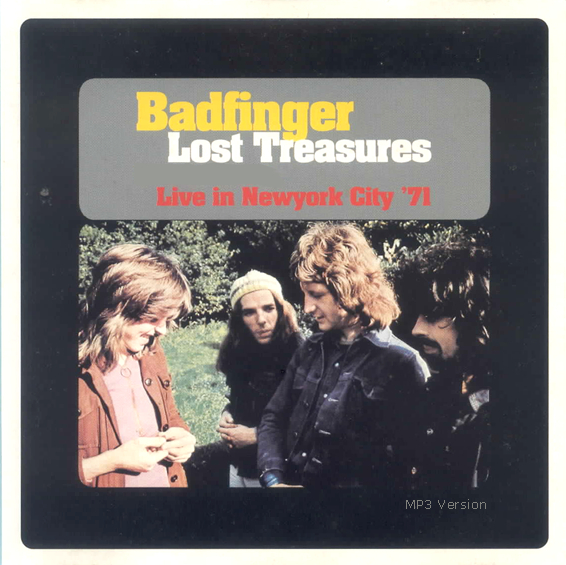 These excellent soundboard tracks are liberated from Badfinger - Lost Treasures (Bell Bottom).